Google Reader is a nice place to read latest posts from all subscribed blogs and news related sites. 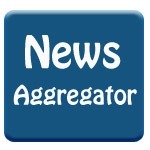 There are lot many other news aggregators available on web but still many of us use Google Reader to go through the latest updates, news and blogs. Sometimes you may find an interesting article on Reader and like to blog about the same. If you are having a blog on Blogger, it is very easy to share a post or news from Google Reader to Blogger using the “Send To” button available inside the Reader but it is not that easy to send content on WordPress as there is no such inbuilt button for that. WordPress (self hosted or WordPress.com) is having a “Press This” bookmarklet but that is helpful for sharing details from a webpage but not from a news aggregator like Google Reader. In this tutorial, I will show you how you can actually send post title, URL, source website name and even the complete content of the post including images and videos on WordPress blog just like Blogger. Google Reader is having an option to add custom “Send To” button through which you can actually send data to social networking sites, online bookmarking places and other services on web. 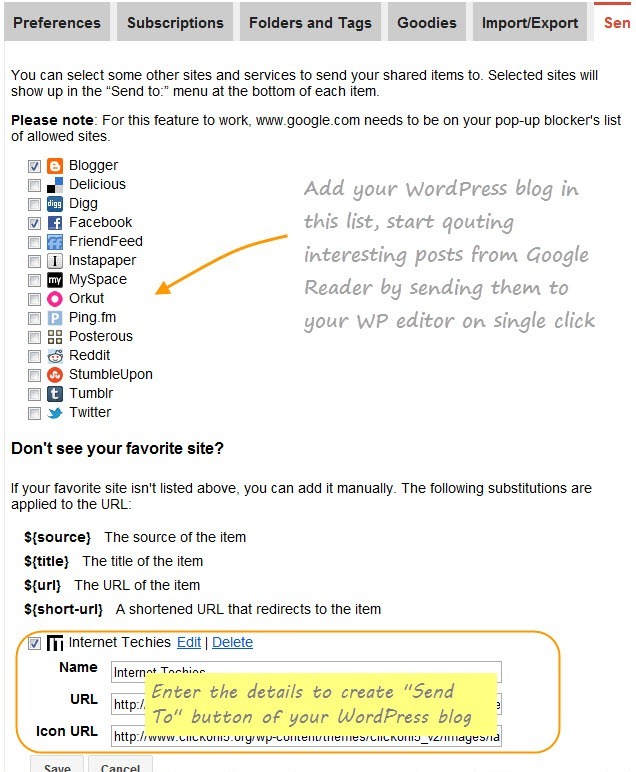 To send a selected post from Google Reader panel to your self hosted WordPress blog, you need to follow the below steps. 2. You can see a list of social networking sites like Facebook, Twitter and social bookmarking sites like Digg, Delicious etc. You can also find Blogger in the list and by checking the desired network site, you can actually send the post details to that site by hitting the Send To button available by end of the post on Reader. As WordPress is not there in the option, you will have to create that. To add your own WordPress blog in the list, click on “Create a custom link” option available at the bottom of that page. 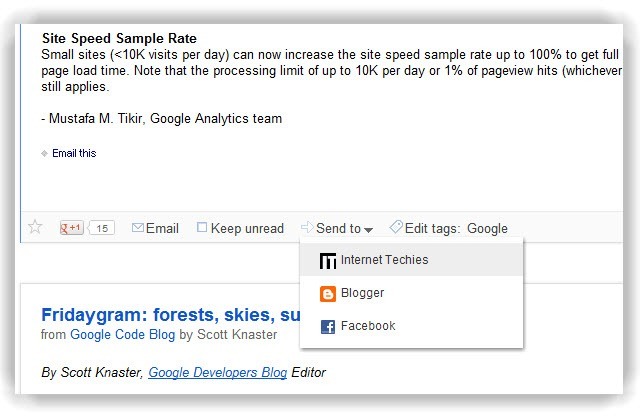 Now you need to enter three parameters to send a post to your own blog. 5. Enter Icon URL as the URL of the favicon of your site OR you may enter any other URL of your site’s small icon. Now go to the Google Reader reading panel and by end of the post on the panel, you can see an option as “Send To” (as shown in the 2’nd image in this post). There you can find your newly added website or your WordPress blog name. Click on that to see the post content or details on your blog’s editor. Note – You need to login on your WordPress blog to open the editor with shared details. Last Step – If you choose to send the complete content of the subscribed post from Google Reader to WordPress in STEP 4, you will see that Reader actually sends the HTML version of the post to your blog. You will have to cut (CTRL + X) the content from “View” mode on WordPress editor and paste (CTRL + V) in HTML editor. Now you will see the proper content including text, links, images and videos on your WordPress blog sent from Google Reader.